Leaked Video Shows US-backed SDF Fighters “Torturing” Man Taken Captive 3.7777777777778 out of 5 based on 9 ratings. 9 user reviews. Mosua Alomar, a pro-“opposition” journalist and rpesenter, has released a video showing how members of the US-backed Syrian Democratic Forces beat a man taken captive. The event allegedy took place in the area of Raqqah where US-backed forces were advancing against ISIS. The captured man is likely an ISIS member. The fact that this video has appeared online is very interesting itself. In general, the SDF military censorship works very well and SDF members avoid filming such footage. No angels in this war. Only that these we identify with seem to us better than these we oppose. Movie Along Now, Nothing to see here, Just some CIA/NATO war criminal mafia scum having a bit of fun. 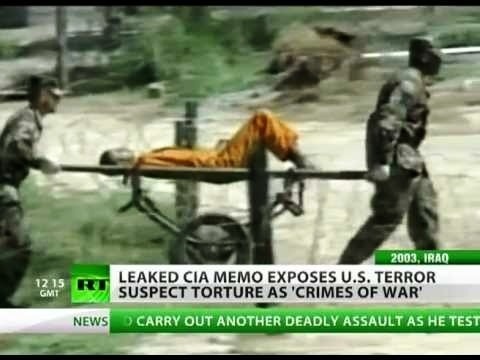 Totally in accord with Do Grile, one of the speciality of CIA/NATO is how to torture people, have fun about this, and still being save before God thanks to believe in Jesus (religion is involved in this pathological behavior). This is the same treatment they gave to 30,000,000 indigenous Germanic-tribal peoples after the First World War. Oh yeah, then they did it to the indigenous natives after the second world war again. Same people, same tactics, targeted at a new people group is all. When no one in the world stood up for the indigenous Germanic population after the First World War, they doomed us all to suffer the same fates at the evil hands of Mi6 and CIA and Mossad.